For most homeowners in Ohio, your home represents the largest purchase you will ever make. 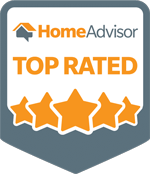 There is a great deal of pride in having a great looking home that has lots of curb appeal. That is why Central Window Cleaning only uses the latest techniques coupled with the finest quality products and supplies available to protect and clean your investment. There’s nothing that brightens your home like sparkling clean windows. When you let Central Window Cleaning handle the cleaning of your home’s exterior windows that is exactly what you’ll get. As Ohio’s leader in residential window cleaning, we can get your windows looking their best. You’ll be the envy of your block! 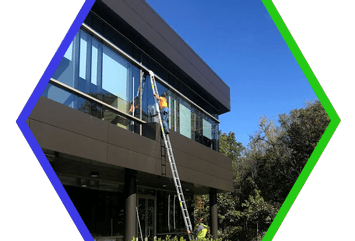 As a full service window cleaning contractor, we specialize in those hard to reach places around your home. Windows in the attic? No problem! Let us do the balancing on the ladder! Our extensive window cleaning experience means we’ll get the job done right. All you have to do it sit back and relax. Central window cleaning uses only the highest quality cleaning products available to make sure your windows and your home look their very best! We are fully insured and our window cleaning crews are professional, friendly and eager to please. Request your quote today! In its simplest form a gutter is a channel that directs rainwater off of your roof and away from your home. While they are fairly low maintenance, if you ignore your gutters completely there is a greater chance of property damage due to blocked or clogged gutters. The moment you notice that your gutters are not functioning properly you should call the friendly and professional gutter cleaning experts at Central Window Cleaning. Overflowing gutters and blocked downspouts can cause major damage and expensive repairs. Our gutter cleaning teams will remove any debris from your gutters and clean the outside of them as well, restoring them to a pristine white appearance. Having your gutters cleaned at least once a year is a great way to ensure that your gutters operate at peak performance all year long.